Clermont Pest Control Pros offers Mice control services for your property in Clermont FL. Do you need Mice control? Pick up the phone and call (352) 322-4078 to speak with a Mice control specialist now. 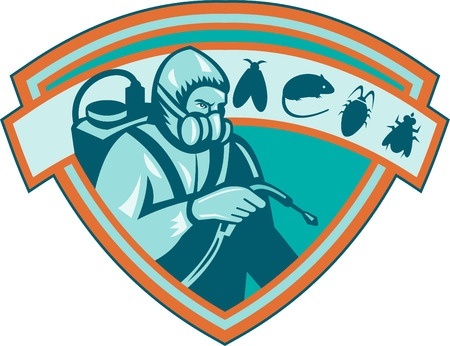 Our exterminators are trained and licensed, ready to service your property to remove insects and bug infestations. Are you experiencing a problem with ants, mice, bed bugs, cockroaches, mosquito, june bugs, beetles, or any other local insect? We have the services for you. When you wake up in the middle of the night to get a glass of water, you might see a surprise in your kitchen. Rodents look for food late at night, and you could have a mouse in your home for several weeks without realizing it. It is important to contact Clermont Pest Control Pros to hire an exterminator when there are rodents inside a building. Rodents can transmit diseases or parasites, making you or your family pets ill.
You may not notice the signs of having a mouse because these rodents are typically frightened of humans, but if you have numerous mice that are seeking food, then the rodents become more aggressive. If you have a home that is filled with clutter, then you are more likely to have an infestation because rodents like to make nests in cardboard boxes and piles of soft materials. When your home is dirty, you won’t notice the filthy urine stains and hard droppings that are left along the baseboards of a home. However, mice will also scurry around in kitchen cupboards or drawers, creating a mess on cookware, dishes and utensils. The bacteria from rodent urine or droppings can make you sick with conditions such as bubonic plague or salmonella. Mice can also damage your home by chewing on the wooden foundation, electrical wires and drywall. If there are numerous mice in a home, then the droppings and urine will create a foul odor. Poisoning mice on your own is a bad plan that can lead to rotting corpses inside the walls, but an exterminator from our mice control pros knows how to use humane steel traps to capture the rodents. With this method, it is possible to remove several mice in only a few days, and the exterminator can return to capture the baby mice as the rodents look for food. Call Clermont Pest Control Pros now for a free quote concerning mice extermination in your home. Call the Clermont Pest Control Pros for the best mice control service in the local area. We are a great exterminator who can solve your problem today.